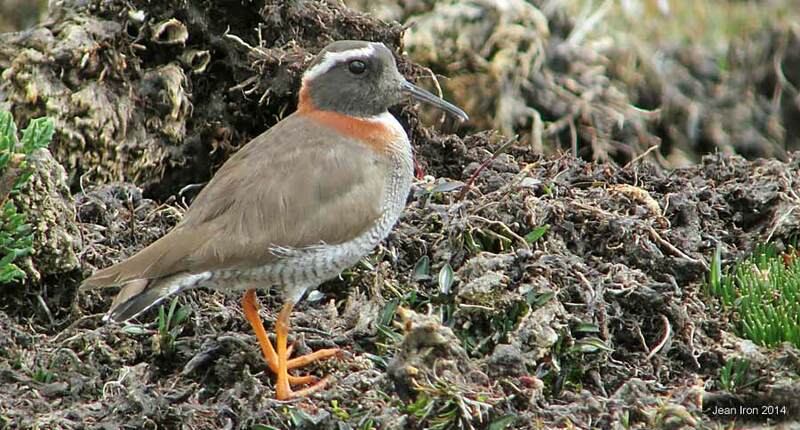 The Diademed Sandpiper-Plover is resident in one of the world's strangest shorebird habitats. 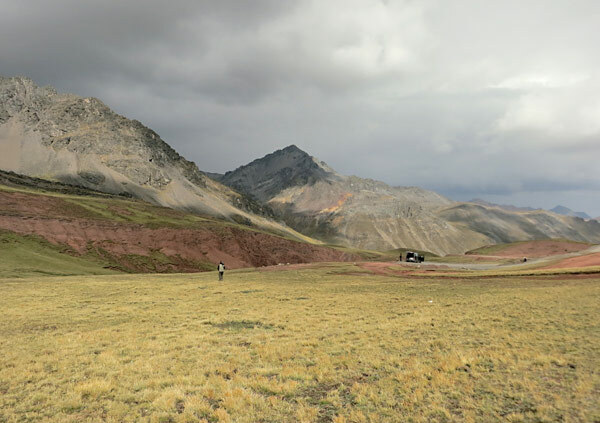 These photos were taken at an altitude of 4800 metres (15748 ft) in the Peruvian Andes, South America on 2 November 2014. 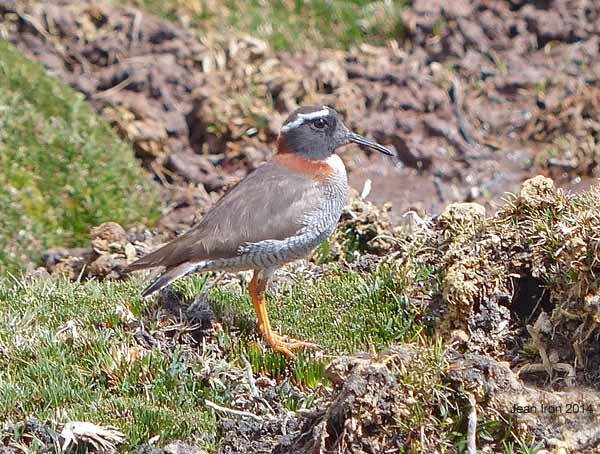 This unusual and rare shorebird was the highlight of my recent trip to Peru. Our guides: Alejandro Tello, Alex Durand and David Beadle. Milloq Bog is a waterlogged area below the level of where we parked. It reminded me of wet tundra in the Northern Hemisphere. The Diademed Sandpiper-Plover is probably naturally rare because of limited habitat in the harsh climate at high altitude. Its estimated population is less than 10,000 and declining. It is poorly known, yet widely dispersed in the Andes of Peru, Bolivia, Chile and Argentina. It isn't globally threatened but is considered near threatened (Birdlife International). Conservation efforts may be needed to protect bogs where it lives. We saw boggy areas with peat strips cut out. It may also be necessary to prevent other intrusions into the breeding habitat.